Carpathian Wilderness is extremely important to Europe! More and more young researchers are focusing on this subject not only to provide additional knowledge and data, but arguments why Wilderness is really important! Roman Cherepanyn, PhD researcher, graduated at the Department of Biology of Ivan Franko National University, Lviv. He then finished his postgraduate studies at the Institute of Ecology of the Carpathians of the National Academy of Sciences of Ukraine and succeeded to get the Polish government scholarship for young scientists. 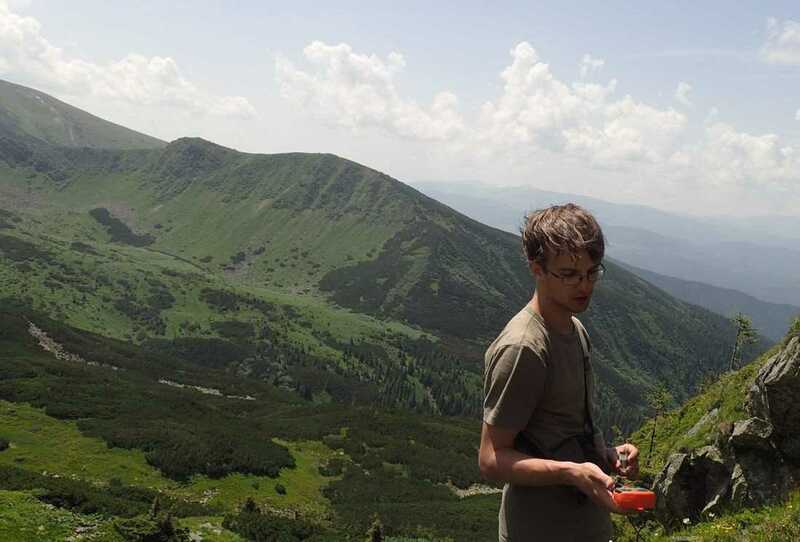 Currently he is working at the Department of Biology and Ecology of Vasyl Stefanyk Precarpathian National University and his research is focusing on high-mountain and arctic-alpine plant species of the Ukrainian Carpathian, their population dynamic, biology and ecology. He already has extensive working experiences in the alpine ecosystems all over the Ukrainian Carpathians. His work is focusing on population biology and ecology of highland plants association, phylogeography, nature protection and management, wilderness, ecological networks, ecological policy, tourism and sustainable development. His recently finished e-book is dedicated to the arctic-alpine plant species of the Ukrainian Carpathians and is an excellent resource of knowledge focusing on the Wilderness and wild life of high-mountain nature. The book provides new arguments on the importance of Carpathian Wilderness to the Ecosystems as a whole! This book presents an analysis of arctic-alpine plant species of the Ukrainian Carpathians. These plants play an important role in the ecosystems of the Arctic and Subarctic regions and in the mountains of the Northern Hemisphere. The book is focusing on the species, features of highland nature and conducted researches on the topic. One can find here photographs of 41 arctic-alpine plant species, including a large number of rare, relics and endangered species. They are silent witnesses of ancient geological and climatic events that took place on our planet during the glacial periods. Today, climate changes and anthropogenic impacts lead to reduction of the area and changes in population structure of arctic-alpine plants. The book contains information about their distribution, morphology, biology and ecology, conservation status and protection measures.